Finding and selecting the right 3D printer for your organization can be a daunting task. You need a printer that has all the technical specifications you require but also has enough flexibility to explore new ideas. The lineup of EnvisionTEC 3D printers provides designers and engineers with the tools they need to develop new technologies and products. 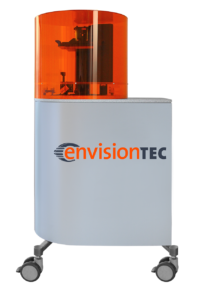 Regardless of your industry or needs, there is an EnvisionTEC 3D printer that is right for you. EnvisionTEC 3D printers provide designers and engineers with the tools they need to develop new technologies and products. The lineup of EnvisionTEC 3D printers that we offer at 3DSMAN falls into three main categories: high-resolution, bioplotter, and industrial scale. Each category provides users with numerous printer families and models that each have advanced capabilities and features. In this post, we will be focusing specifically on the Perfactory Family, which falls into the high-resolution 3D printer category. All of the printers can print using a wide variety of materials. Using unique DLP (Digital Light Processing®) and optional ERM (enhanced resolution module) technology the printers can print parts faster than similar competitors and print up to an accuracy of 10μm. EnvisionTEC Perfactory 3D printers provide users with a personal factory that can produce parts with a variety of materials at high resolutions. The DDP Series provides a range of printer options for precise dental products. P3 DDP and P4 DDP: These smaller dental manufacturing printers can be used to print copings, crowns, long-term temporaries, partials, and quad or full arch models. P4 DDP M and P4 DDP XL: These larger models can mass print many smaller products or they can be used to print larger dental products like surgical drill guides, models for dentistry and orthodontics, partial frameworks, and customized night guards. The Digital Shell Printer (DSP) series targets the hearing aid manufacturing industry. This high resolution 3D printer offers smooth finish options, allowing hearing aid parts to be ready for immediate use right off the printing platform. The DSP line comes with three different printing platform sizes, so you can easily select the printer that meets your manufacturing needs. Plus, optional high-speed modules can help organizations create prints quickly without sacrificing accuracy. The Mini line of EnvisionTEC Perfactory 3D printers is ideal for small parts that require high detail like jewelry, electronics, and medical devices. The lineup includes the P3 Mini Multi Lens, P4 Mini, and P4 Mini XL. The Mini Series is perfect for tiny products that require tons of detail like jewelry, medical devices, and electronics. The P3 Mini Multi lens is a customizable production tool that has three different lens configuration offerings with the option of purchasing more for added flexibility. This printer produces the finest detail with the most constant build speeds. The P4 Mini and P4 Mini XL both produce the finest detail in the shortest amount of time and are perfect for jewelry manufacturers. Both P4 models have the same capabilities, but just come in two printer platform sizes depending on your needs. The Standard Series provides users with a strong 3D printing option that supports both conceptual and fully functional prints at a low cost. 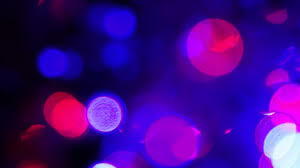 It comes in three models: P4 Standard, P4 Standard XL, and P4 Standard LED Series. The P4 Standard and P4 XL are ideal for consumer products. The same functionality offered with two printing platform sizes, and both can print using a wide range of materials at resolutions of up to 100 μm. The P4 Standard LED Series uses innovative LED light technology that is more powerful and efficient than other light systems on the market. This printer also has the highest resolution compared to other vat polymerization units available on the market. EnvisionTEC Perfactory 3D printers provide organizations with the resolution and accuracy they need to print detailed parts that have huge impacts on people’s lives. From conceptual to functional parts and hearing aids to dental products, these printers provide users with the functionalities they need to support all of their manufacturing operations. Plus, all EnvisionTEC 3D printers are low cost and low maintenance, making them an ideal investment for all organizations. EnvisionTEC 3D printers are low maintenance and low cost, making them the ideal printer for all types of manufacturing operations. At 3DSMAN we see a lot of printers, and the EnvisionTEC Perfactory 3D printers really stand out. We love them, and so do our customers, who find the combination of diverse materials, high quality, and high resolution gives them plenty of freedom to test out new designs. It’s just not something you can find anywhere else. Ready to purchase an EnvisionTEC 3D printer? Have additional questions? Contact us and we would be happy to answer any of your questions. Interested in getting more information about a specific Perfactory EnvisionTEC 3D printer?